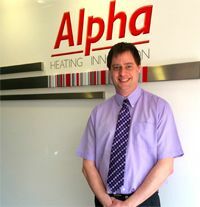 Alpha Heating Innovation has appointed Paul Ricketts as a new technical sales manager, covering London and all areas within the M25. He has more than 26 years of sales experience, including time spent within other industries including kitchens, bathrooms, tiles and adhesives. For the past nine years, he has worked for a number of well-known boiler manufacturers as a key representative for the London Orbital areas, establishing close relationships with merchants and installers alike, while gaining a solid understanding of their needs and market trends for the capital. Mr Ricketts will also be updating and educating merchants and installers within this zone on Alpha's wide range of boilers and latest product offering.